The words of 1 Corinthians 12:17 always remind me of this joke. If the whole body were an eye, how would we hear? 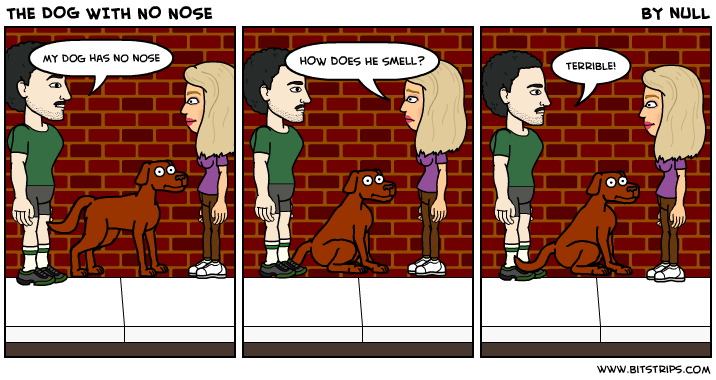 If the whole body were an ear, how would we smell? Of course, its meaning is clear and we all have our parts to play: some to speak, some to listen, some to see, and perhaps even some to smell! Our theme for 2016 at All Saints seems to be developing into “Being Lazy for Jesus”! Not meaning that we do nothing, but that we stop rushing around “doing things” and take time to “be”. But 1 Corinthians 12 reminds us that we all have our part to play. If you have ever tried to walk when your leg has “gone to sleep” you will realise how difficult it is to function when one part of the body is not working properly. “Being lazy” doesn’t work when one part does nothing, leaving others to rush around trying to do jobs that don’t rightly belong to them. It may be possible to walk on your hands, but nobody can see with their ears! As we seek to put God first this year, and to give time to simply “be”, we must seek out what our function, our calling, is as part of the body of Christ, and that is what we should be doing and fulfilling. This week our readings are from Nehemiah 8:1-10, 1 Corinthians 12:12-31, and Luke 4:14-21, and we will be singing the hymns Praise my Soul the King of Heaven, There are Many Ways of Sharing, Called as Partners in Christ’s Service, and All my Hope on God is Founded. The readings can be found via this link! Our sermon is entitled What are you? Time to put the feet up? In last week’s sermon I shared my New Year’s resolution for 2016 – to try to be more lazy. As I said then, it is not as easy as it sounds. In our busy connected world we always seek to fill each moment with some activity, some useful task. My phone has nine ways to get in touch with me: phone calls, Skype calls, Messenger calls, texts, school emails, private emails, Facebook messages, Facebook posts, and BBC News alerts! No wonder we have no time to listen to God! Through the noise God says to us Be still and know that I am God! We are created as human beings, not humandoings, but so often we define ourselves by what we do, by what we achieve. Perhaps that’s why we find heaven so difficult to imagine: what will we do there? Our two services this week will include the Methodist Covenant Prayer where we commit ourselves to God for the coming year. Let us remember that God cares much more about who we are than what we do! Let us stop rushing around, and find time to listen to God! This week our additional 9:15 a.m. service recommences after the Christmas break, and our readings for both services are Isaiah 62:1-5, 1 Corinthians 12:1-11, and John 2:1-11. We will be singing the hymns All People that on Earth do Dwell, Dear Lord and Father of Mankind, Be Thou my Vision, and Guide me O Thou great Jehovah. The readings can be found via this link! Our sermon is entitled Be Still! Greetings from a grey, cold, and wet England! I will be travelling back to Thailand tomorrow, and look forward to leading our worship at All Saints at 11 a.m. on Sunday. An “epiphany” is a suddenly realisation of something, a sudden understanding! The Epiphany is when we celebrate the revealing of Jesus to the Gentiles! The Wise Men from the East come to worship Jesus, and God with us, Immanuel, is revealled to the whole world! We all have our own ways of seeing God. In some ways I worship the God of England, steeped as I unavoidably am in my own culture, music, and traditions, and even my understanding of right and wrong. God is God, but God reveals God’s self in many ways to many people, for God is a God of incarnation, a God made flesh! And God is with us! And God loves us! Perhaps our Epiphany must be that God is God, that we don’t have to earn God’s love, we don’t have to squeeze ourselves into any particular “right way” of being a Christian, or being a man, or being a woman. Instead God calls us to worship God, to give thanks to God, and to join in God’s work of building God’s kingdom and loving our fellow human beings! God is the God of, and for, the whole world and that is what we will look at in this week’s worship! 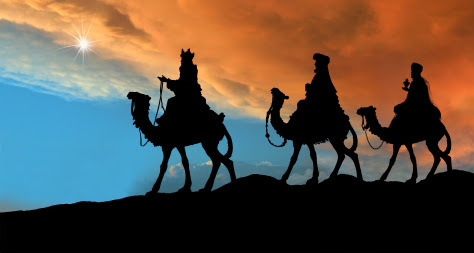 This Sunday our readings are Isaiah 43:1-7, Acts 8:14-17, and Luke 3:15-17, 21-22, and we will be singing the hymns We three Kings of Orient are, The first Nowell, As with Gladness Men of Old, and Hark the Herald Angels sing! The readings can be found via this link! Following the service we will take down the Christmas decorations for another year! I hope you had a good Christmas or, as Elena will explain in this week’s sermon, I hope you are Christmassing well! We had some great services at All Saints and eleven people stayed for lunch on Christmas Day. I am now enjoying my Christmas break with my parents and had a good meeting with Bishop Jonathan yesterday. Elena will be leading the worship this Sunday at 11 am and using an exciting alternative liturgy! I will be back on January 10th for our Epiphany service. This week’s readings are from Wisdom of Solomon 10:15-21 and John 1:1-18, and the hymns are Love Divine, Open my eyes that I may see, Beauty for Brokenness, and Mothering God. Our sermon is entitled Mother Wisdom!